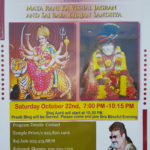 First time ever, HCCC Livermore Temple is performing Purusha Sukta Yagam. 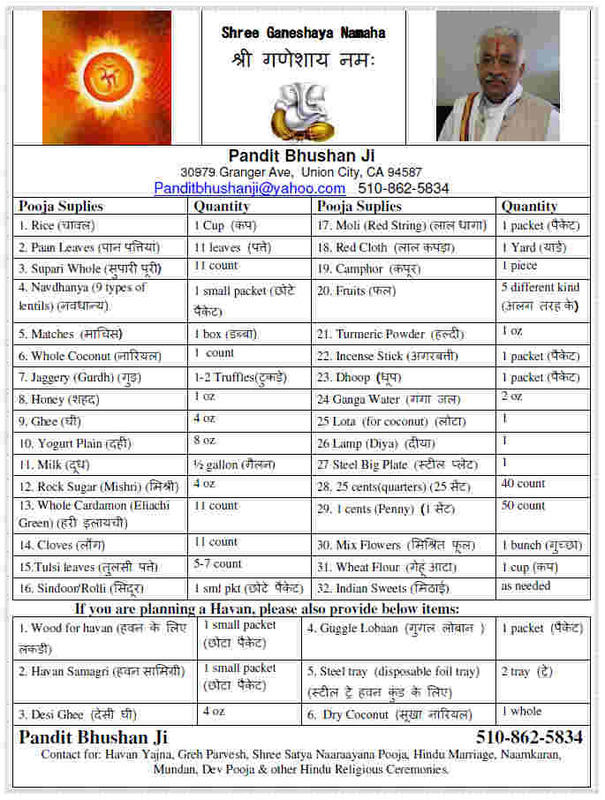 During the Yagam, Purusha Sukta is chanted following Krishna Yajurveda specifications during 5 sessions. In all, it is chanted for 1,600 times. 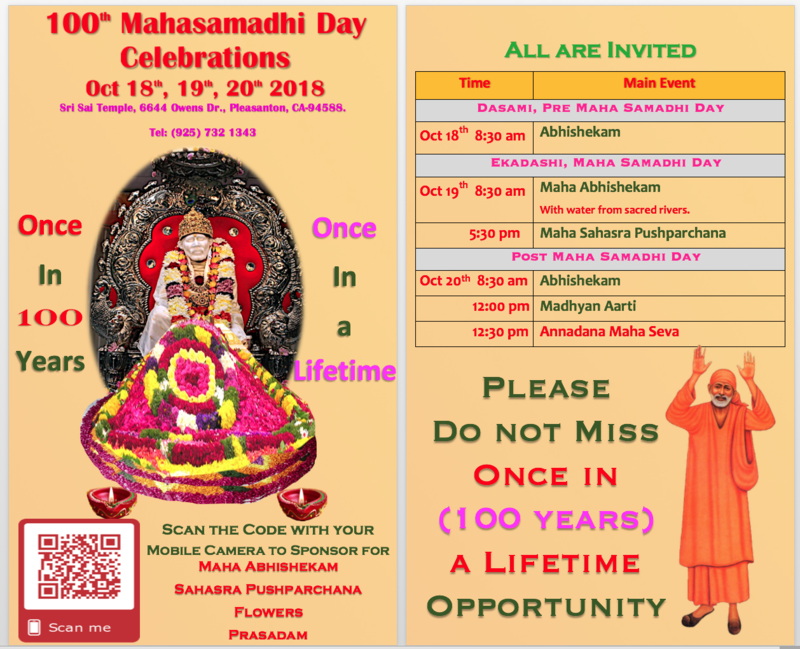 Sri Sai Temple Pleasanton is celebrating Shirdi Sai Baba’s 100th MahaSamadhi day on October 18th, 19th and 20th. Please join the celebrations with your family & friends and get Shirdi Sai’s blessings. In Baba Seva, Sri Sai Temple, Pleasanton. 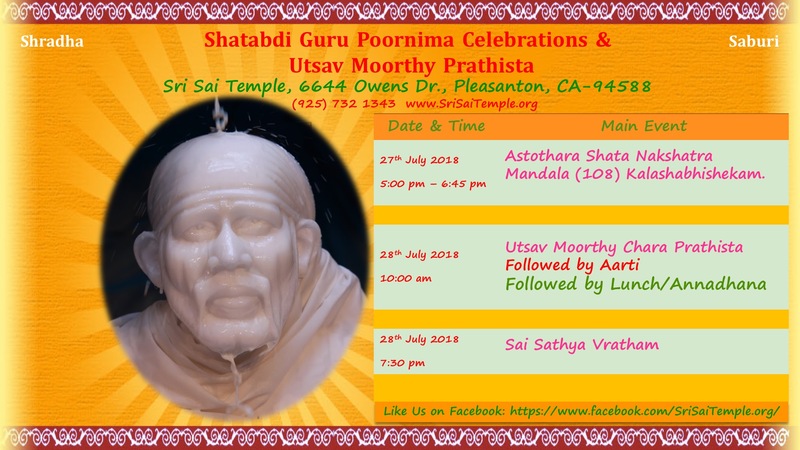 Sri Sai Temple, Pleasanton, invites all devotees to join/participate in Centennial Guru Poornima Celebrations July 27th and 28th. Please do not miss this opportunity, it is once in 100 years. 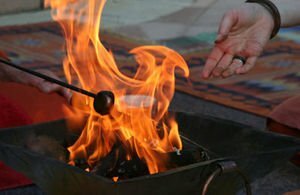 Contact for Havan Yajna, Greh Parvesh, Shree Satya Naaraayana Pooja, Hindu Marriage, Naamkaran, Mundan, Dev Pooja & other Hindu Religious Ceremonies. 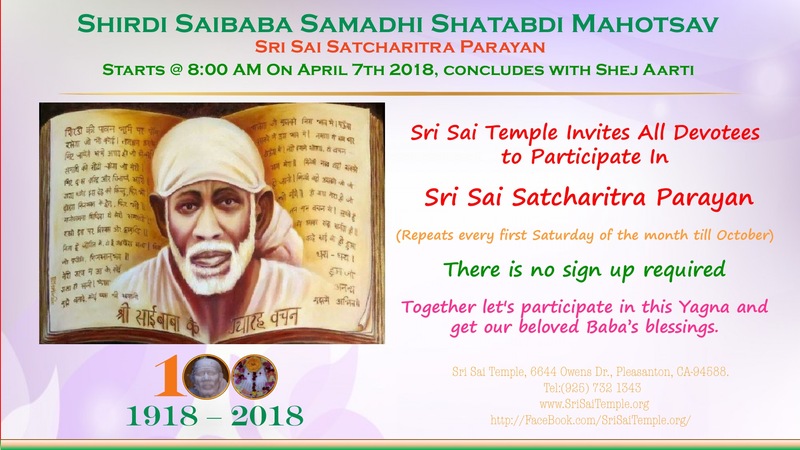 As a part of Shatabdi Celebrations, with BABA’s blessings, Sri Sai Temple will be doing Sri Sai Satcharitra Paryan every first Saturday of the month till October 2018. 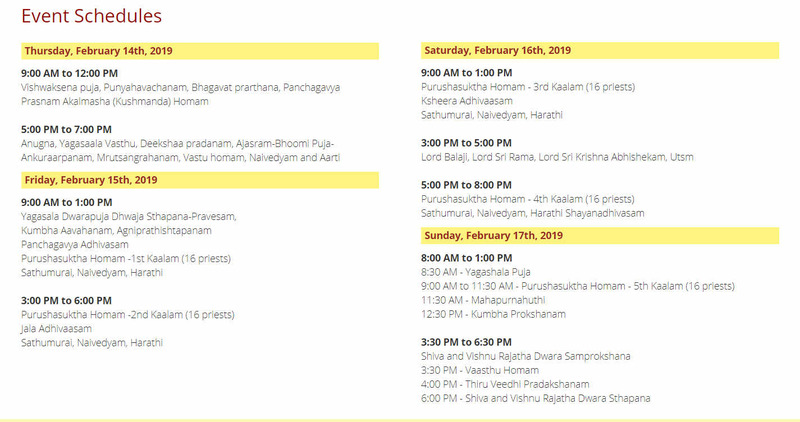 The Satcharita Parayan will begin at 8:00am , conclude with Shej Arati. SriSaiTemple Invites all devotees to participate in Seetha Rama Kalyana Mahostavam celebrations on March 25th 2018 and get Seetha Rama & BABA’s blessings. Sri Rama was born in the same year, its once in lifetime opportunity, this special occasion happens only once in every 60 years. Kalyana Bhojanam will be served after Seetha Rama Kalyanam. SriSaiTemple Invites all devotees to participate in Ugadi & Gudi-Padwa celebrations on March 17th 2018 and get BABA’s blessings. Please forward to your friends and family. Mata Ki Chowki on the occasion of Navratri festival. This is a Free Event. 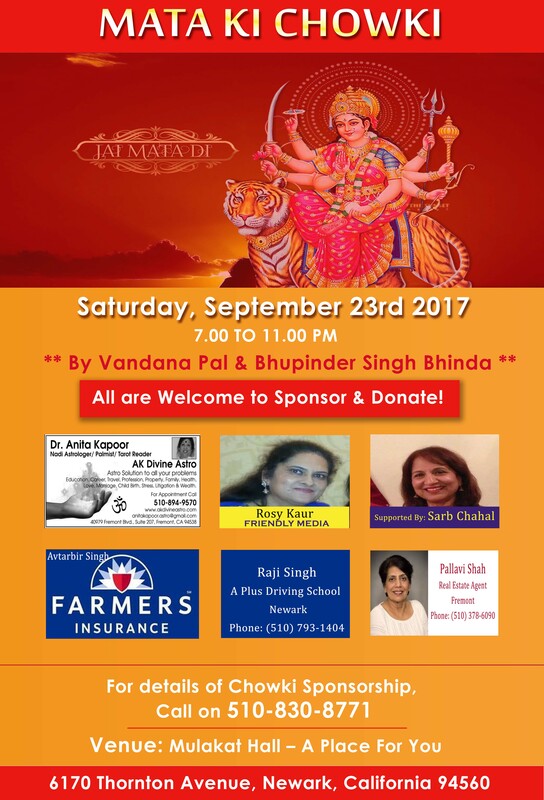 We welcome donations and sponsorships for Mata Ki Chowki. 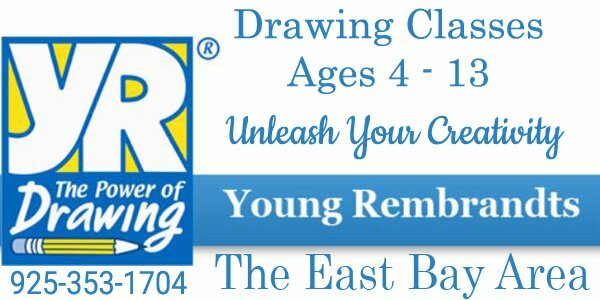 For details, please email us on prach…@m…com or call on 510-830-8771. 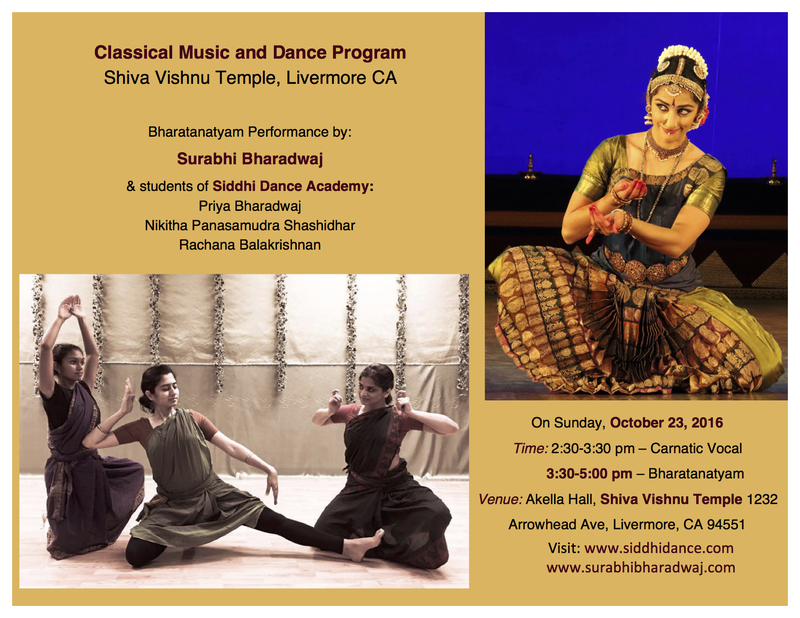 Bharatanatyam by Surabhi Bharadwaj & students of her institute – Siddhi Dance Academy, Dublin. 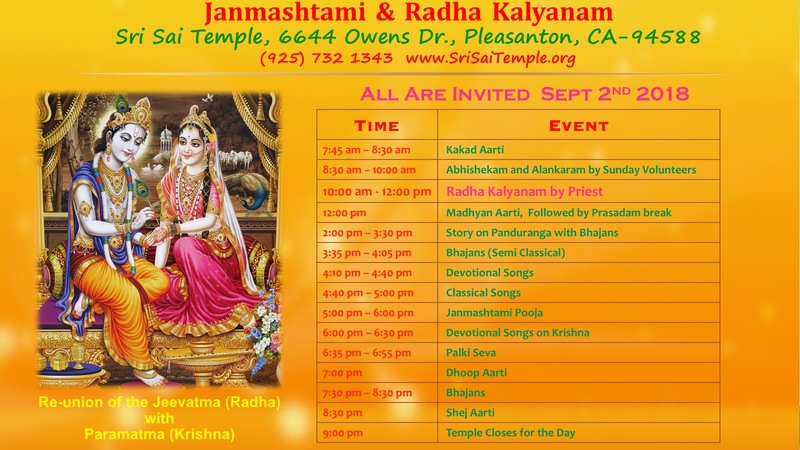 Please join us in celebrating Saddula Bathukamma (festival of flowers) festival on Sunday Oct 9th. its organized by Telangana Cultural Association. 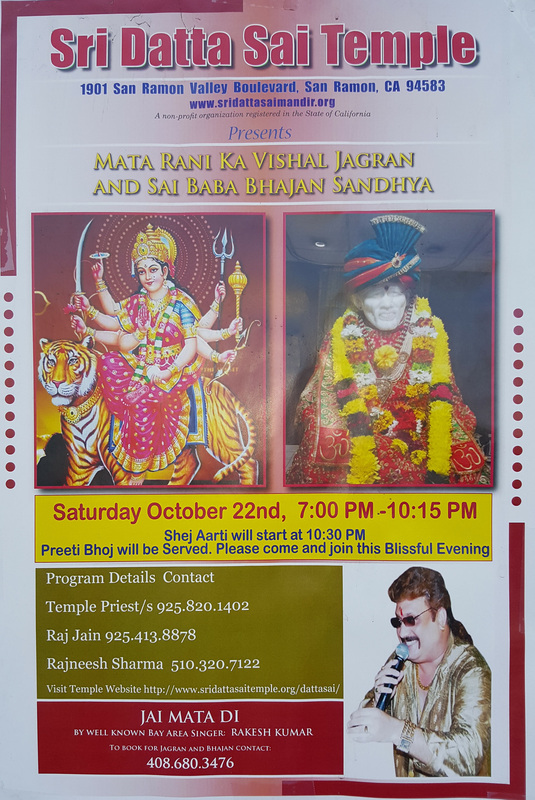 Mata Rani Ka Vishal Jagran and Shri Sai Baba Bhajan Sandhya on Sat, October 22, 2016 at Sri Datta Sai Temple, San Ramon. 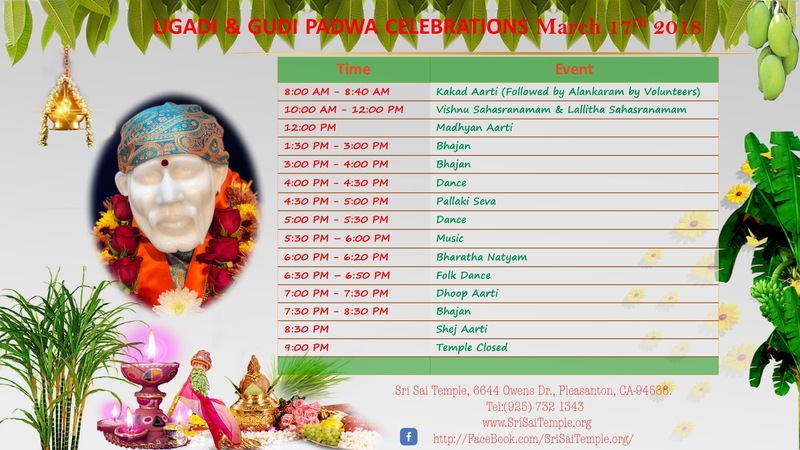 Shej Aarti will start at 10:30 PM. Preeti Bhoj will be served. 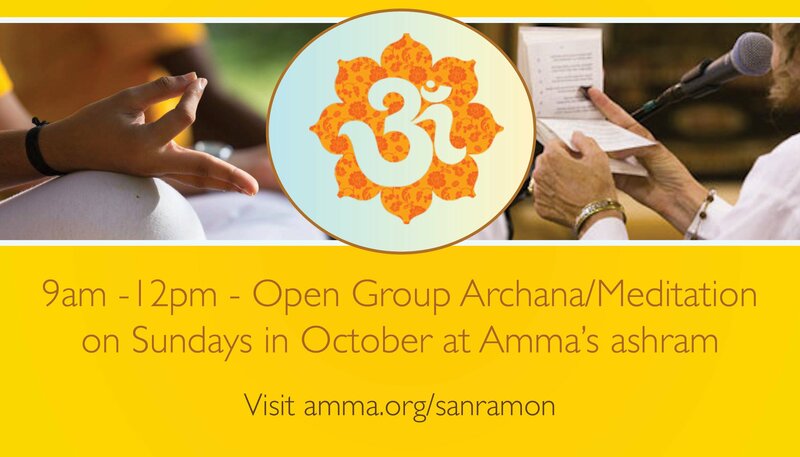 Please come and join the blissful evening. 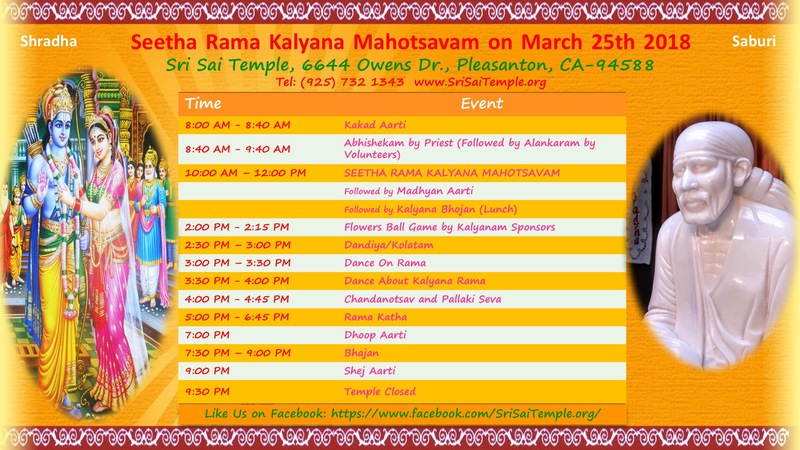 Jai Mata Di by well known Bay Area singer Rakesh Kumar.